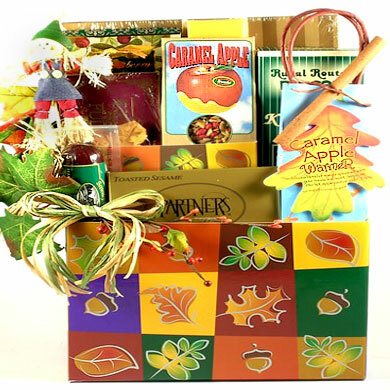 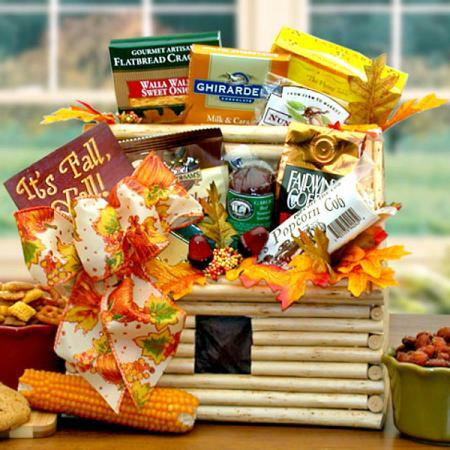 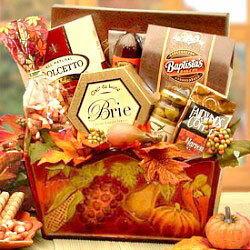 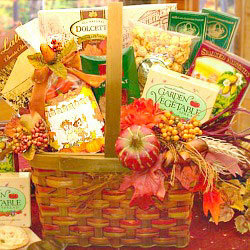 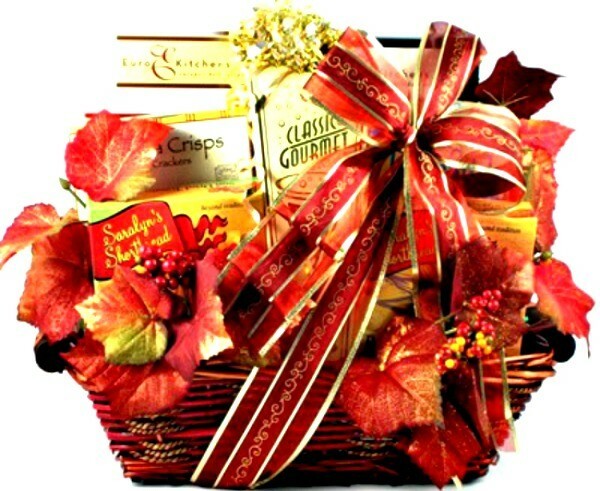 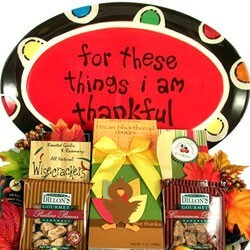 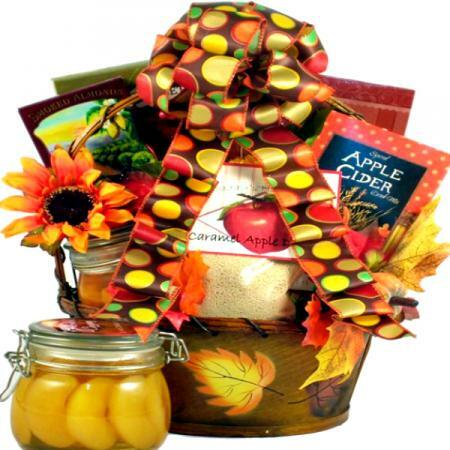 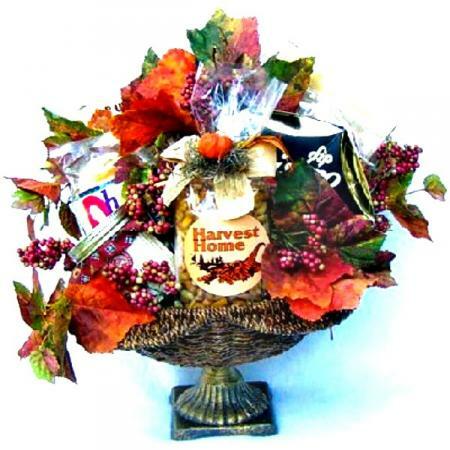 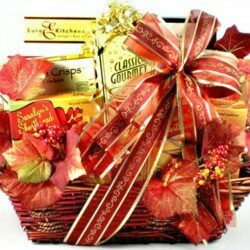 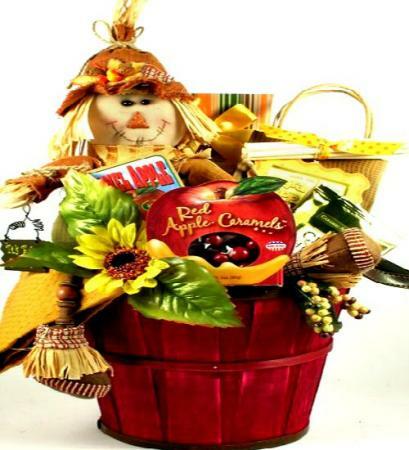 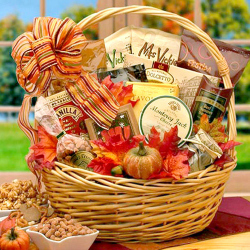 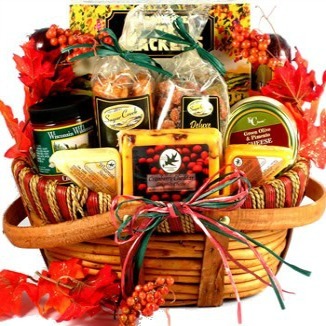 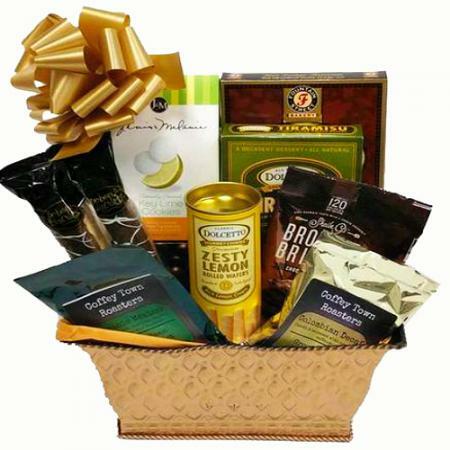 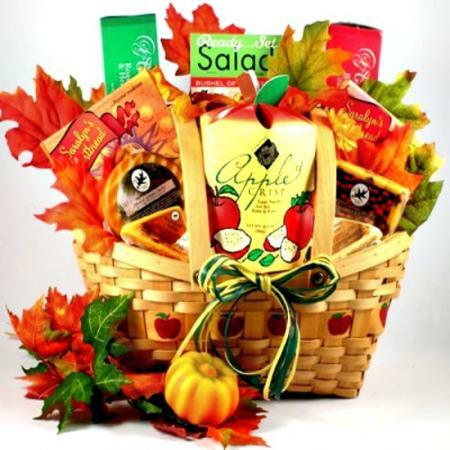 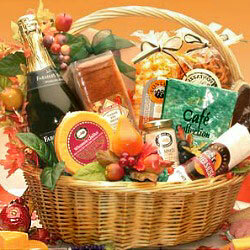 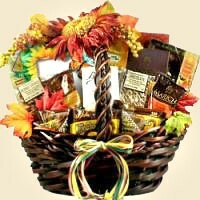 Fall gift basket filled with savory gourmet, snacks, and sweets. 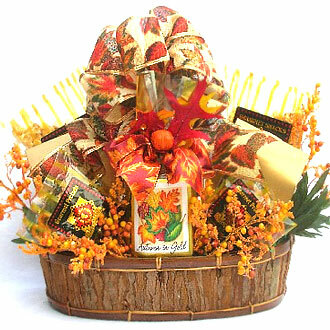 Enhanced with frosted maple leaves, berries and ribbon for a stunning presentation. 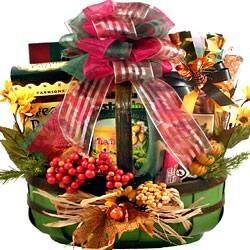 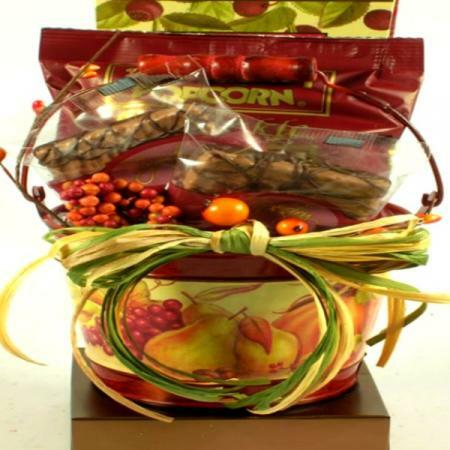 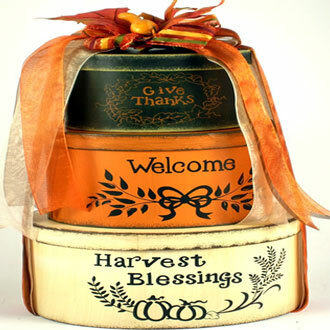 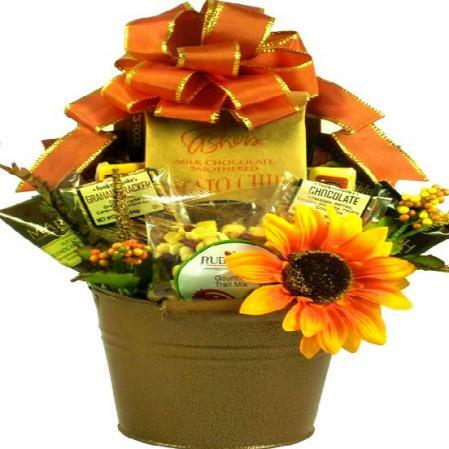 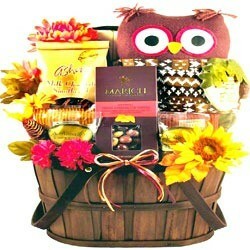 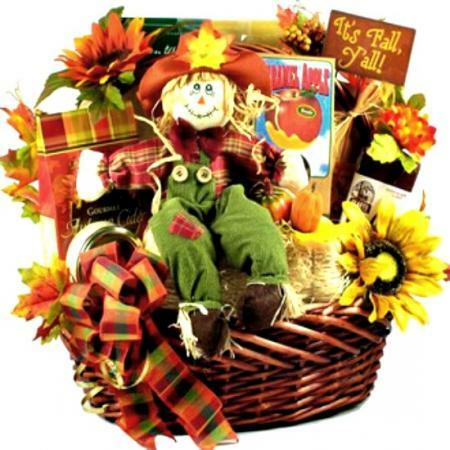 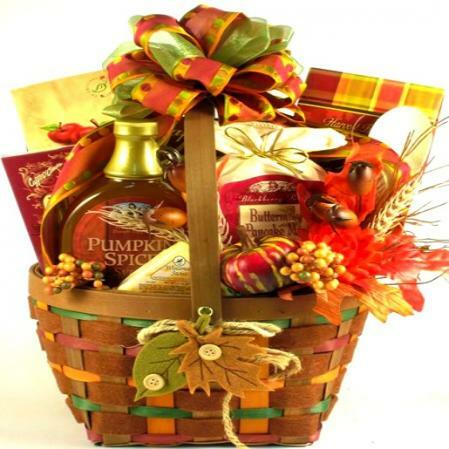 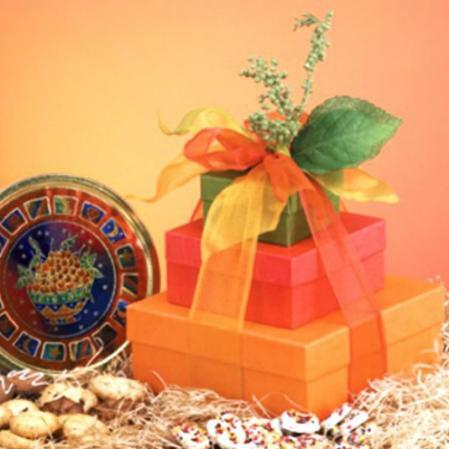 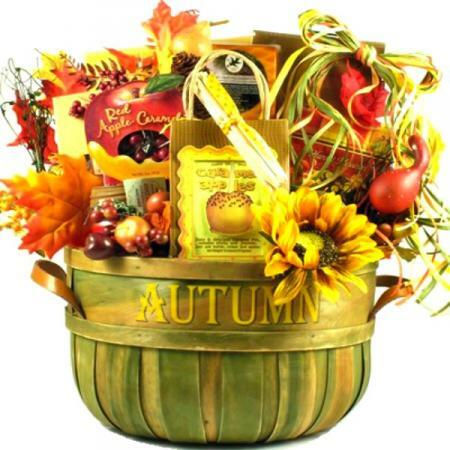 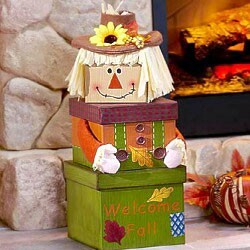 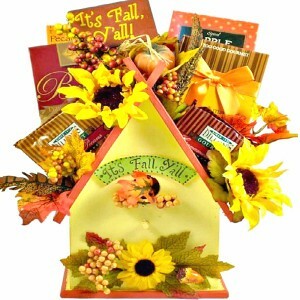 View more beautiful Fall gift baskets!